A look at how the maker of video game hardware changed gears and turned its fortunes around. Sometimes all you need to be successful in business is a good idea. Other times, you need to know when to drop everything and change course. The founders of Taipei, Taiwan-based Micro-Star International (MSI) learned this the hard way. But the lesson was lucrative. In a few short years, MSI transformed from a relatively obscure tech company to a power player in PC gaming. To understand how the company made its pivot, first let's look at its trajectory. 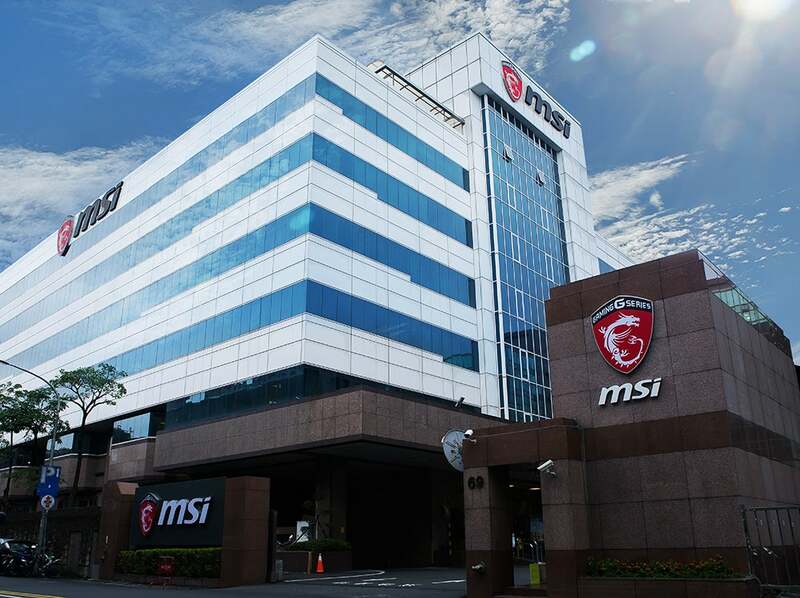 MSI was founded in 1986 with a focus on designing and manufacturing motherboards for computers. Having gone public two years later, the company's next big moves came in 2003 and 2008 when it began selling branded notebooks and netbooks, respectively. At its height during those years, MSI's revenue hit $3.1 billion (U.S. dollars) in 2008. Despite its success making computer components, MSI was a latecomer to the consumer netbook industry, and entered at the height of the global financial crisis. By 2009, MSI began to realize a crisis of its own: It couldn't compete with giants like Dell, HP and Lenovo. With sales in serious decline, the company's stock price bottomed out in 2011. MSI's founders knew something had to change, and fast, if the company was going to survive. Their solution was a game-changer: Tap into the soaring interest in PC gaming and hire employees who are passionate about gaming. The rise of PC gaming and the subsequent boom of eSports (live events during which professional and amateur participants play video games against each other for competition) provided a niche but fast-growing opportunity for device companies. Interest in gaming hardware has been driven in part by the immense global popularity of eSports. With major events including the International and the League of Legends World Championship, revenues from the eSports industry were expected to reach almost $500 million last year, up more than 50 percent from 2015. With an eye on high-end and high-performance devices, MSI jumped into the gaming industry. The company offers a line of gaming laptops (retailing between $799 and $5,099, from mainstream to high-end), gaming desktops ($899 to $2,999), graphics cards made specifically for gaming, gaming motherboards and gaming accessories like keyboards, mice and headsets. MSI's VR One, a virtual reality PC backpack. 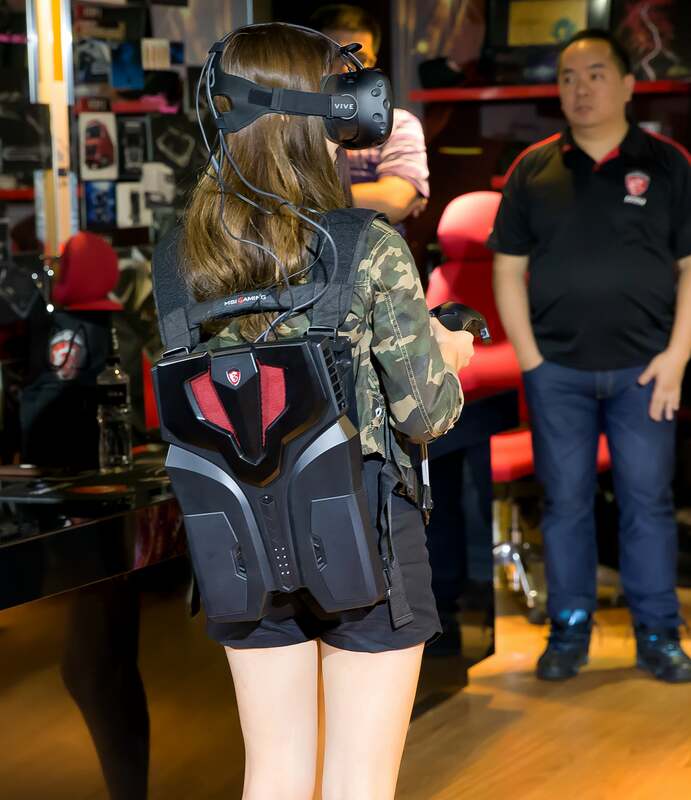 Image credit: Taiwan media, Aotter Inc.
For super-enthusiast gamers, MSI developed the VR One, a PC "backpack" that enables wearers to play virtual reality games wirelessly. MSI's transformation into a leader in the gaming hardware industry didn't happen overnight. Here are some of the key changes that powered its big pivot. Become intimately familiar with customers: In order to execute such a dramatic change in its business, MSI wasn't about to rely solely on reports from research firms to inform their product design and pricing. In 2013, MSI sent sales reps to 30 countries, visiting local universities and interviewing students in order to ascertain their hardware preferences and specifications when participating in eSports games. Despite common thinking that gamers wanted compact notebooks with little priority on performance, they discovered that gamers in fact want high-performance hardware--regardless of price or weight and battery life. Go straight to the source for development: Who better to help develop gear for gamers than gamers themselves? MSI recruited veteran gamers onto its product-development teams to provide insider perspectives. Demand full commitment from employees: In a company-wide announcement in 2012, co-founder Henry Lu informed staff that anyone who wasn't fully committed to MSI's new direction should leave the company. It was a bold move, but an important one. Changing gears so dramatically required employees to adapt quickly. Everyone needed be committed to the company's future success. Over the next two years, some 400 people left MSI. A number of business units saw a turnover rate of up to 50 percent, the company says. New hires had to demonstrate a passion for gaming and making high-performance gear. Turns out, one of the reasons MSI choose to switch its product line to gaming was because many of its longtime product managers and researchers are gamers, so they can design the best products to fit gamers' needs and bring MSI back to market. MSI's business pivot is paying off. The company says it is now enjoying a 13-year record high stock price and sales, with revenue hitting $3.23 billion in 2016, up nearly 18 percent from $2.74 billion the prior year. Meanwhile, a recent finding by China's DigiTimes and the Topology Research Institute suggests that MSI has become the largest gaming notebook player worldwide, with a market share of 19 percent. Depending on how competitors define the specs of "gaming notebooks," other numbers suggest that this top ranking belongs to MSI's closest gaming hardware rival, Asus. Either way, MSI says it is projecting double-digit growth of gaming PCs over the next three years. The future looks bright for a company that was on the verge of going out of business just a few short years ago.